This is the one accessory that can make your normal outfit look stylish in seconds. This season’s favourite accessory, scarves, can give an additional boost to your plain white shirt and denim jeans. Be it a silk scarf or a woolen, it can definitely help accentuate your outfit and with the winter refusing to leave, scarves are a great way to keep warm and yet look stylish. Jessica Alba just cant get enough whether its summer or winter. 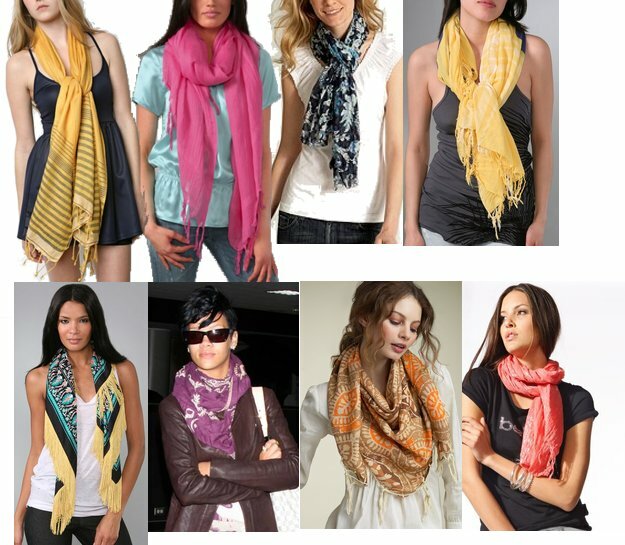 Different ways to wear scarves.